Cedar Hill (0-1) lines up for the first snap of the game. against Mansfield (1-0) September 1 at Longhorn Stadium. CEDAR HILL—After losing by 30 points at home, the Cedar Hill Longhorns are looking for redemption Friday night against the Mansfield Tigers. A fluke. An accident. A stroke of bad luck. 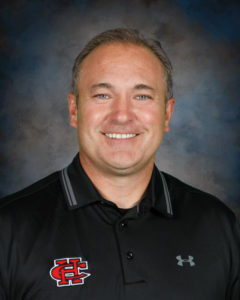 Whatever you call it — Cedar Hill Head Football Coach Joey McGuire calls the Longhorns Week 1 loss to Bishop Gorman a sad reality. Friday, August 26, in front of 10,000 screaming fans at home, McGuire’s team was shut out more than half the game by Las Vegas powerhouse Bishop Gorman High School. Cedar Hill started strong. With Gorman receiving first, the Longhorn defensive corps attempted to keep the UNLV feeder school in check. Yet Gorman’s steady barrage of short rushes resulted in three first downs and a 30-yard field goal attempt. Derek Ng missed his only kick of the night. From then on the Gaels had deadly accuracy. The normally high powered Cedar Hill offense had a less than stellar first drive. After only completing 1 of 3 passes and no gain, rushing Quarterback Avery Davis and his crew punted the ball in hopes that the defense could place them in a better position to score. As luck would have it, the punt bounced off the leg of a Gorman special teams blocker. Defensive back Josh Newman recovered it at the Bishop Gorman 27-yard line. On the next possession Davis found Charleston Rambo in the end zone for their only score of the first half. A combination of penalties and the Gorman defense kept the Cedar Hill offense at bay. Throughout the game, 11 penalties were called against the Longhorns resulting in a loss of 108 yards. Six of which occurred in the second quarter when the Longhorns went scoreless. “Not just the second quarter, It was a lot of penalties through the entire game,” said McGuire. Near the end of the half, the Cedar Hill Longhorns put together an impressive 11-play drive. Many thought this would put the Longhorns within three points of Gorman. The offense stalled out at the Gorman 25-yard line, however. Facing fourth and nine, a touchdown pass from Davis to Rambo was called back due to another penalty. Davis and company tried to create lightning in a bottle twice, but no dice. Offense failed on its fourth and long attempt and Gorman went into halftime holding onto its 10-point lead. The remainder of the game was more of the same. Gorman never went on any high scoring sprees, but their steady running game and clock control spelled disaster for Cedar Hill. 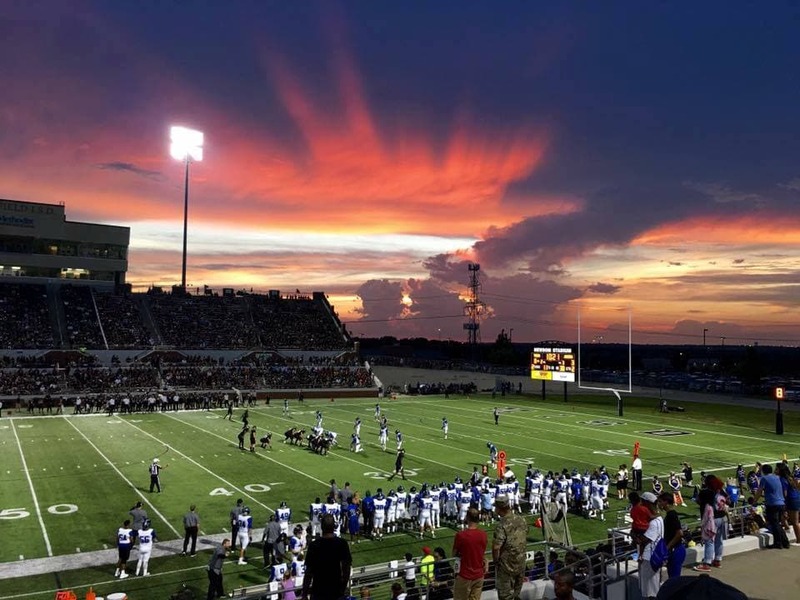 August 26, 2016 Mansfield defeated Mansfield Summit 28-10 at home. 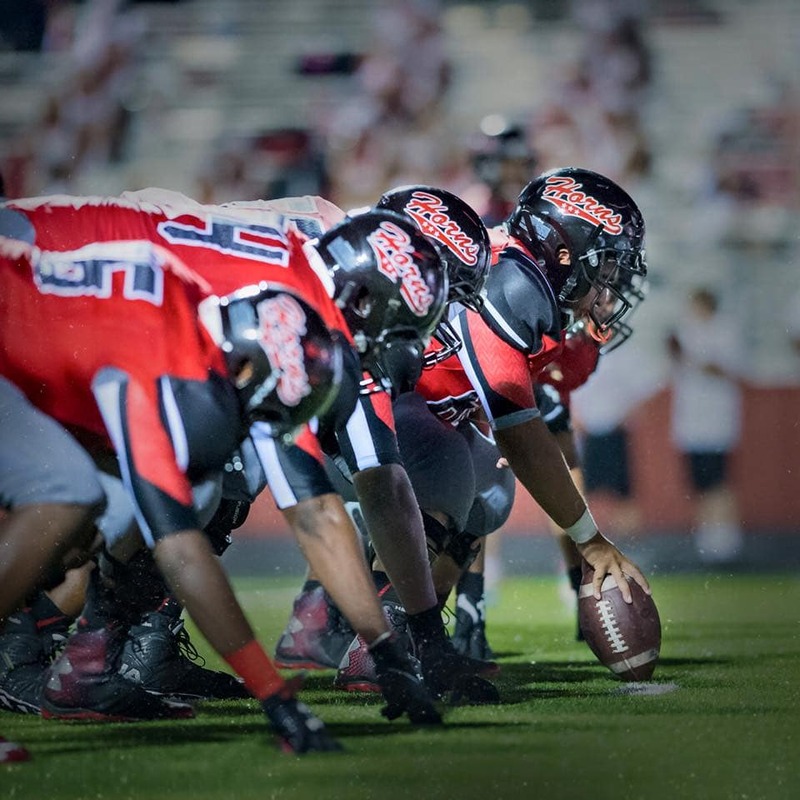 The Cedar Hill Longhorns face Mansfield High School this week at home, and it is a district game. Fresh off a win against Mansfield Summit, 28-10. Mansfield High School amassed 21 of those points in a fourth quarter surge against Summit. Mansfield Running Back Kennedy Brooks’ 62 yard touchdown rush electrified his team. They had been in a tight 7-3 faceoff for more than two quarters before that drive. Quarterback Shawn Hartsfield followed up with a 22 yard dash into the end zone. Wide Receiver Saiid Adebo intercepted a Summit pass and returned it 32 yards for the final score. In the last meeting between the #two and #four teams in District 7-6A, Mansfield edged out a 46-43 win. In 2014 Cedar Hill fell to Mansfield in regular season play but went on to win a Division II State Championship. The only thing McGuire promises is that the Longhorns will play ‘their’ game. In the recent past, the most Duncanville would garner in many sports analysts’ minds would be a possible tie for third place in district play. Now it seems anything can happen in Head Coach Reginald Samples second year. The Duncanville Panthers began their second season under Coach Reginald Samples on August 26 with a win against Plano East at home. Duncanville would rack up 279 yards in the air and have a ground game of 150 yards while totaling 23 first downs. Jakari Brooks led all Duncanville rushers going 11-69. Tre Siggers had 12 catches for 135 yards for the Panthers. Unfazed, McGuire says the Duncanville team is always in his season outlooks.